Southwest Florida is an amazing place to live...a true tropical paradise! However, over time, the tropical sunlight and salty coastal air can wreak havoc on your home's exterior. Whether you want your home to keep its origional color or would rather change to a more modern look, we can help you choose a color you and your neighbors will love. Bellmore’s Finishing’s team of professional, local painters can breathe new life into your home’s exterior, and help protect it from the elements, with a fresh coat of high-quality exterior paint. Our years of experience and dedication to quality will ensure that the end result of your residential exterior painting project exceeds all of your expectations and that your home will be looking its very best for years to come. How Do I Know When It's Time to Paint the Exterior of My Home? If you notice that your home's paint color is beginning to fade it is a good idea to have the exterior of your house painted, before the existing paint begins to crack and peel. By taking preemptive action, not only will you ensure that your home looks as beautiful as possible, but you will also decrease the risk of damage to house's exterior and reduce the overall cost of the prep work that is necessary. As a general rule, it recommended that you have your home's exterior painted approximately every seven to ten years, however this can vary based upon location. This is especially true here in Southwest Florida where the intense sunlight and extreme weather conditions can cause your existing exterior paint to disintegrate much faster. Because of this, we recommend having your home's exterior painted approximately every five to seven years. 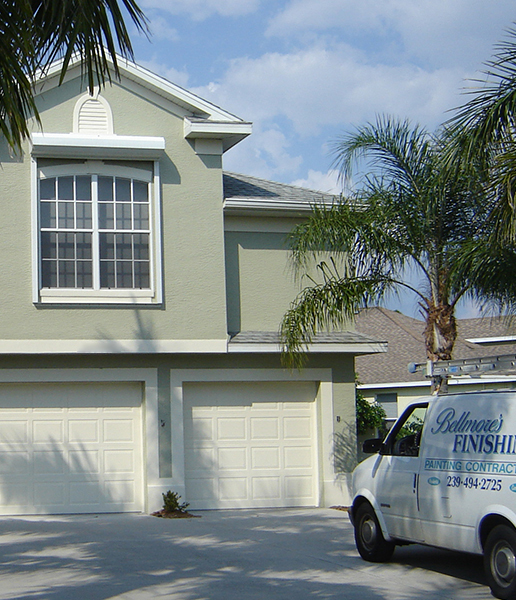 At Bellmore's Finishing our team of expert, local painters are very familiar with the unique challenges associated with keeping a home’s exterior paint looking great in the tropical climate of Southwest Florida. We have the latest equipment, an established reputation for excellence and always pay extremely close attention to every detail. 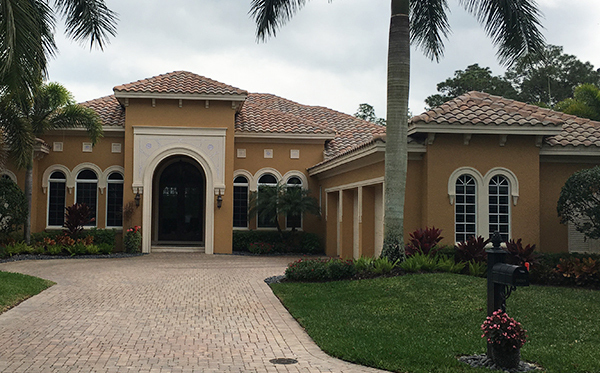 We pride ourselves on providing the highest-quality exterior painting services to all of our friends and neighbors in Naples, Bonita Springs, Marco Island, Estero and Fort Myers, and stand behind each and every painting project we do with a 2-Year Warranty.